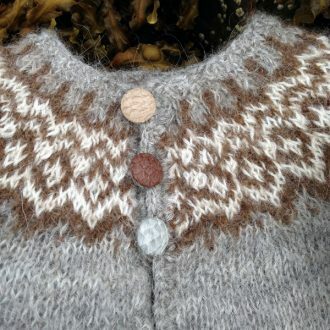 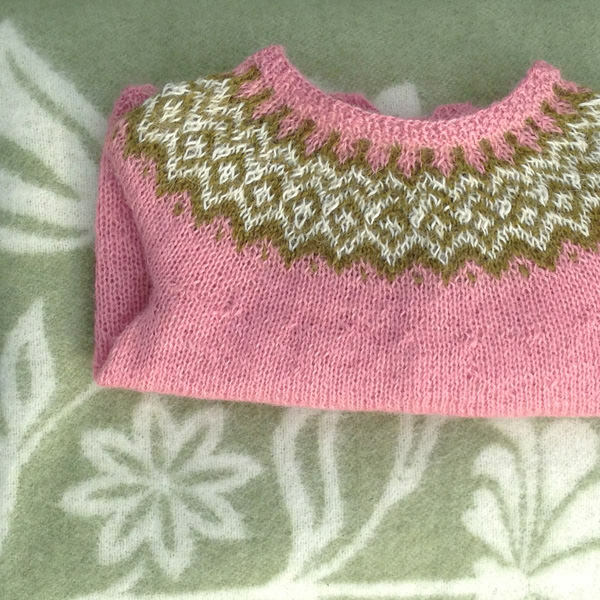 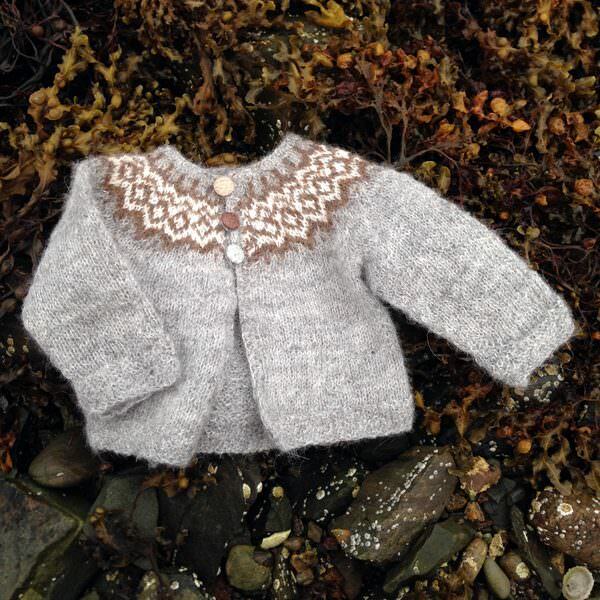 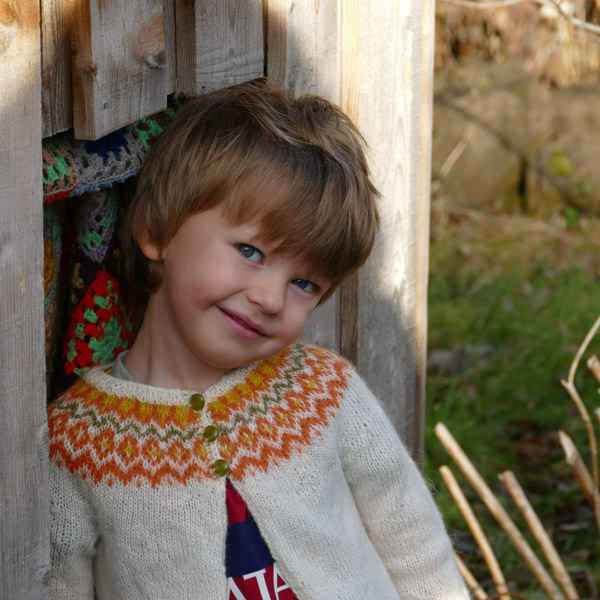 Gilipeysa is a sweet little yoke sweater for the wee ones. 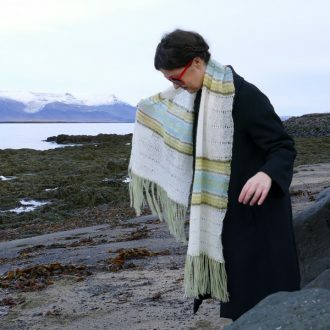 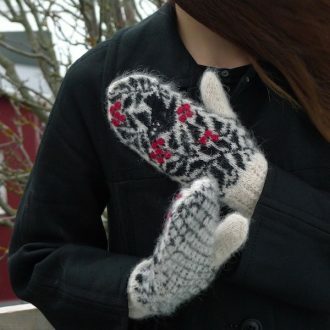 Knitted with the very soft and fine Icelandic lambswool Gilitrutt Tvíband, it has all the elements and qualities of a traditional lopapeysa (warm, light, durable, water-repellant) with the softness! 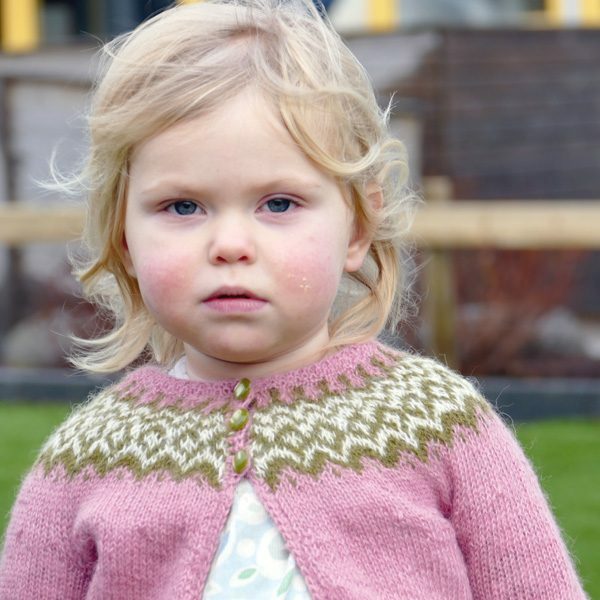 The sleeves are a bit long and can be folded so you can use the cardigan longer as baby grows very fast! 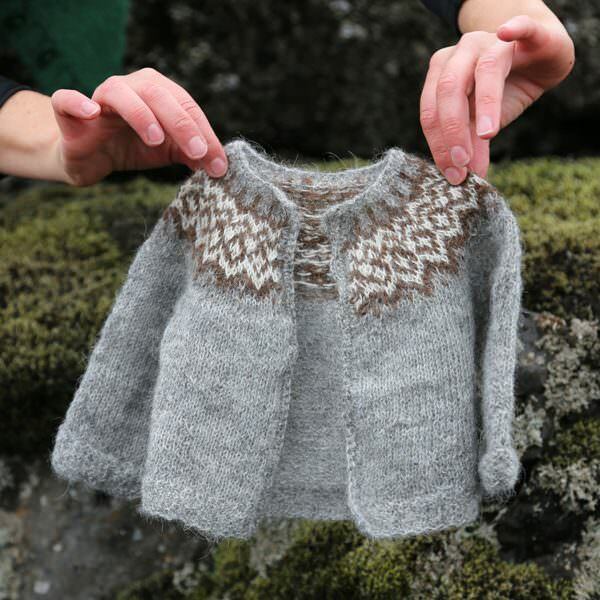 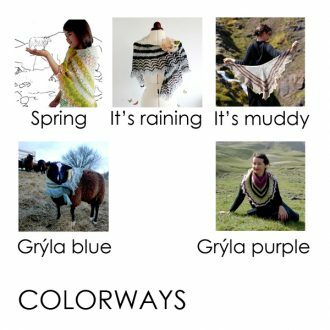 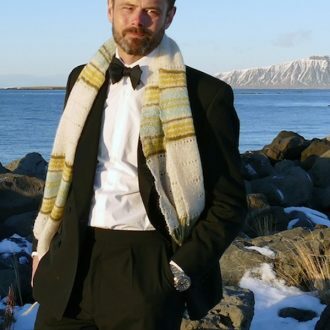 The lopapeysa, sweater made of lopi (lopi is unspun and means roving band in Icelandic), is a really great sweater, very warm and light, hardwearing, water repellant and thus dirt-repellant (you barely have to wash it!) 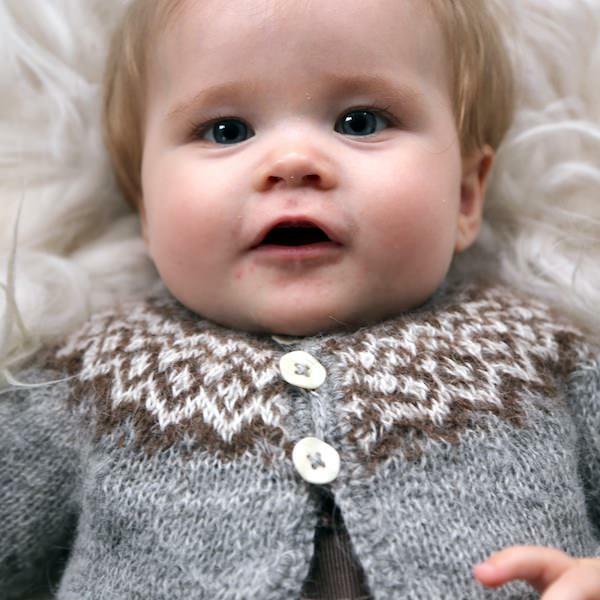 but the lopi wool being a bit scratchy, it’s not so suitable for babies. My Gilitrutt yarn, made of the softest Icelandic lambswool which I hand select specially for its softness, has all the qualities of the lopi yarn but without the scratchiness. For the purists, Gilipeysa may not be a real lopapeysa since it’s not knitted with lopi but it will make babies happy! Grey cardigan shown is a 3-6 months, pink cardigan is a size 2 years old and white/orange cardigan a size 4 years old. 3 mm/US 2½ and 3.5 mm/US 4 circular needles. 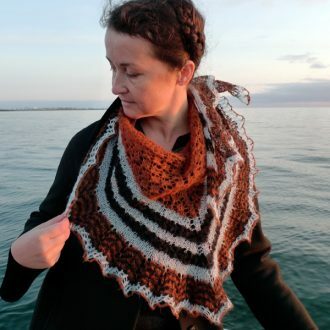 Magic loop is used for smaller diameters but you can also use double-pointed needles. Adjust needles size to obtain correct gauge. Techniques: The sweater is worked in the round. 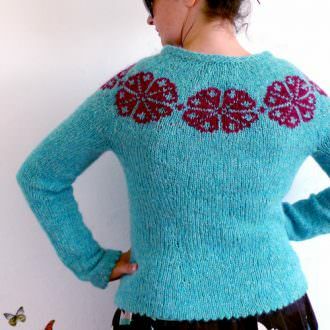 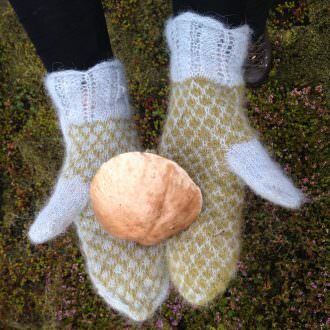 Body and sleeves are worked in the round then combined at the underarms and the yoke is knitted in the round in stranded knitting. 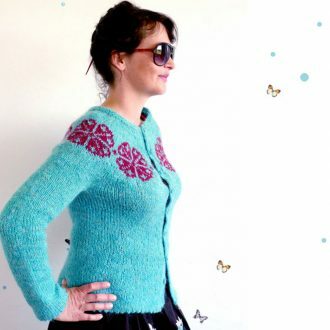 The cardigan is steeked (cut open) but you can also work the body back and forth. 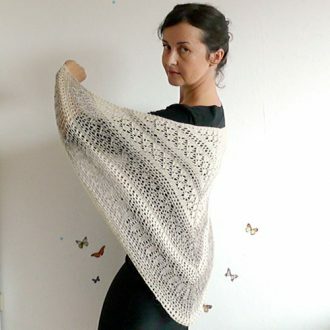 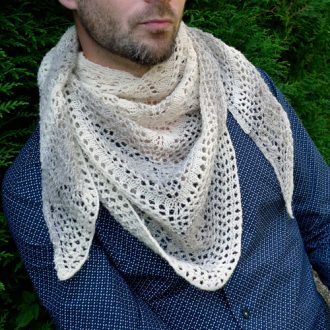 Knitting in the round, stranded knitting (2 colors), increases, decreases, kitchener st, steek, crochet border.